Avegant’s Glyph™ is a headset display that has no screen. Instead, its visor contains a PNNL-developed virtual retinal display, which reflects light onto the back of the viewer’s eyes. 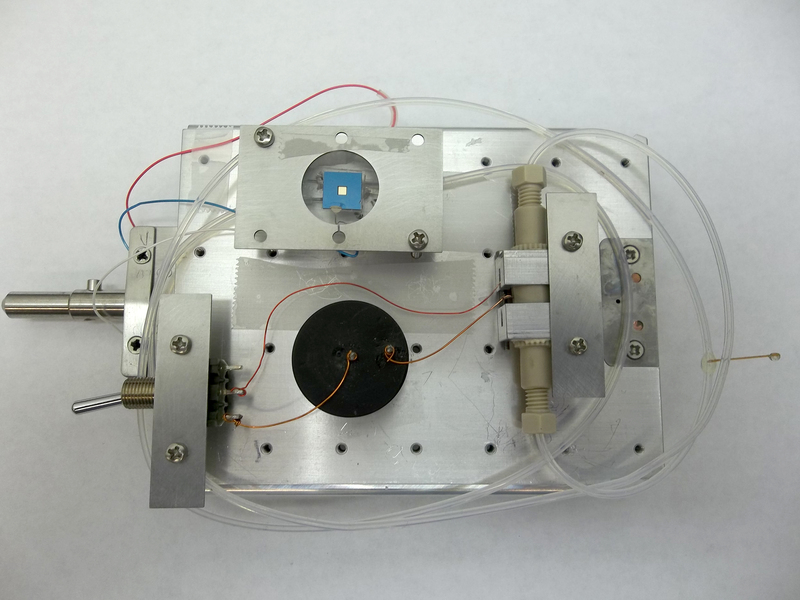 This System for Analysis at the Liquid Vacuum Interface, or SALVI, enables for the first time imaging of liquid samples in real-time and space by more than one analytical instrument. It eliminates the need for sample preparations such as freezing or drying biological cells. RICHLAND, Wash. — Technologies that rival electronic screens, enable new molecular analysis and reduce dependence on fossil fuels received recognition for their innovation today. R&D Magazine honored three advancements developed by researchers at the Department of Energy's Pacific Northwest National Laboratory with its annual R&D 100 awards. R&D Magazine selects the 100 most innovative scientific and technological breakthroughs of the year from nominations spanning private, academic and government institutions. Today's honors bring PNNL's total to 93 since the awards' inception in 1969. "These awards recognize the tremendous value of our national labs," said Secretary of Energy Ernest Moniz. "Research and development at the national labs continues to help our nation address its energy challenges and pursue the scientific and technological innovations necessary to remain globally competitive." Try reading this sentence with the screen an inch from your face and you've experienced the main drawback of head-mounted displays. Screens can get too close for comfort. Avegant's Glyph™ is a headset display that has no screen. Instead, its visor contains a PNNL-developed virtual retinal display, which reflects light onto the back of the viewer's eyes. Because the display mimics natural vision, it reduces nausea and eye strain even with extended use. PNNL teamed with Avegant to demonstrate military applications for the headset, such as night-time maneuvers and piloting armored or unmanned vehicles. But the technology has many more applications, including surgery and virtual training. Former PNNL staff member Allan Evans co-founded Avegant to develop the technology into a product for everyday use. 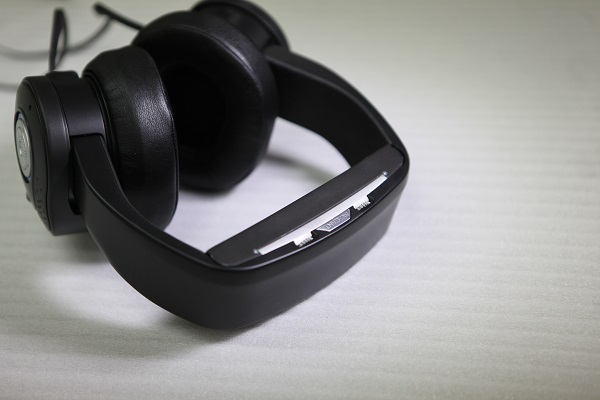 The headset can display media from a computer, TV, game console or similar devices with a screen. It includes headphones and a built-in microphone. Looking through the visor of a Glyph™ is similar to looking at an 80-inch screen from 8 feet away. Avegant's Kickstarter campaign brought $1.5 million in investments, more than five times its fundraising goal. The Glyph™ also made The CNN 10: Inventions list for 2014. The beta version of the Glyph™ will ship out later this year. The team recognized for developing Glyph™ includes: PNNL's Bruce Bernacki and Avegant's Allan Evans, Edward Tang and Neil Welch. Natural gas power plants can use about 20 percent less fuel when the sun is shining by injecting solar energy into natural gas with a new system developed by PNNL. The Solar Thermochemical Advanced Reactor System, or STARS, converts natural gas and sunlight into a more energy-rich fuel called syngas, which power plants can burn to make electricity. DOE's Energy Information Administration estimates natural gas will be used to produce 27 percent of the nation's electricity by 2020. With the U.S. increasingly relying on inexpensive natural gas for energy, this system can reduce the carbon footprint of power generation. The STARS uses a mirrored parabolic dish to concentrate sunlight on a pod about four feet long and two feet wide. The device contains a chemical reactor and several heat exchangers. The reactor and heat exchangers have narrow channels that are as wide as six dimes stacked on top of each other. Concentrated sunlight heats up the natural gas flowing through the reactor's channels, which hold a catalyst that helps turn natural gas into syngas. The heat exchangers' channels help recycle heat left over from the chemical reaction gas. 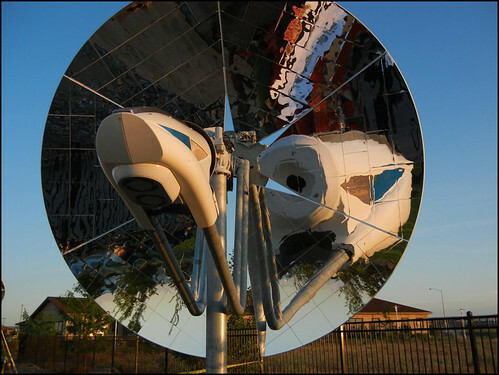 By reusing the heat, solar energy is used more efficiently to convert natural gas into syngas. STARS has set a world record with 69 percent of the solar energy that hit the system's mirrored dish converted into chemical energy contained in the syngas. Additionally, STARS can produce other chemicals, such as methanol and hydrogen. SolarThermoChemical LLC, based in Nipomo, California, has a license to manufacture and sell this technology. The team recognized for developing STARS includes: PNNL's Robert Wegeng, Paul Humble, Robert Dagle, Daryl Brown, Dustin Caldwell, Richard Cameron, Richard (Feng) Zheng, Brad Fritz and Ward TeGrotenhuis; former PNNL staff members, Shankar Krishnan, Steven Leith, Dan Palo and Jair Lizarazo-Adarme; and DiverSolar LLC's Richard Diver. A window the size of a pinhole has opened researchers to a new world of liquid sample analysis. Many studies rely on precise knowledge of how solids and liquids interact on a molecular level, but liquids evaporate in the vacuum of certain instruments. PNNL developed the System for Analysis at the Liquid Vacuum Interface, or SALVI, that for the first time allows these instruments to image liquid samples in real-time and space. The team recognized for developing SALVI includes: PNNL’s Xiao-Ying Yu, Zihua Zhu, Bingwen Liu, Martin Iedema and Matthew Marshall; former PNNL staff member James Cowin; and Evans Analytical Group's Li Yang. The team developed SALVI in collaboration with scientists at EMSL, DOE's Environmental Molecular Sciences Laboratory user facility at PNNL.